If you are on a vacation and have some extra cash in your pocket, you may want to hide it in a hard-to-find place in your hotel room while you are out sightseeing. 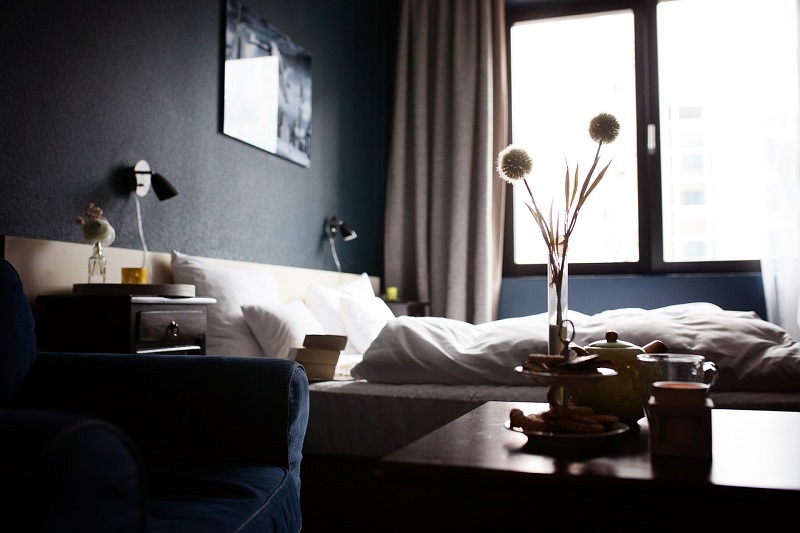 The problem is, “Where do you hide your money so that it is not within easy reach of an opportunistic thief?” The following are a few tips to help you decide on the best place to hide cash in a hotel room. Look at the drapes on your room’s window. Are they made of thick fabric, with a hem sewn along the bottom? If the hem is open at the sides, you can slip money into the fabric’s fold. Now stand back after you have finished and look at the drapes. Can you see the outline of the money within the hem? If you can, the material is not thick enough to hide your dollars and you will need to put them somewhere else. Hide money in your fridge within packets of food. You can buy a packet of crackers or sultanas and put the money at the bottom of the packs, under the plastic-wrapped food. If you have a freezer, you could wrap your cash in a plastic bag and then hide it in a box of popsicles or within a tub of ice-cream. Look for a small, internal, zipped pocket within your luggage and slide your money down into it. Then place some off-putting items – like muddy socks or used plastic bags – above the money. If you have a backpack with a metal frame, you may be able to slip some rolled-up cash behind the frame. Your luggage can be a good place to hide money because you are familiar with it, but an opportunistic thief is not. Consider hiding money under your mattress. This is an obvious option, but it is better to put your cash under your bed rather than leaving it exposed. Make sure to lift the mattress as high as you can, and place the currency in the center of the bed, not at the corners. Of course, there is one warning to keep in mind: put money under your mattress only if housekeeping has already made your bed for the day. Look among your toiletries to see if you have any wide-lidded, opaque containers, such as a pill bottle or a tub of hair gel. Once you’ve finished with the contents of the bottle, use it as a hiding place. You can put some pills or a small stone back into the container, on top of your cash, so the bottle will rattle or feel heavy if anyone picks it up. You can then store the container with your other toiletries, and with luck, it will go undetected by even the wiliest of thieves. The purpose of hiding spare cash within your room is to prevent a thief from having easy, quick access to it. If a dishonest maid has to spend 10 minutes rummaging through used clothing to find your $20, then you have a better chance of not losing your cash. So get creative, put those muddy socks to use, and preserve your hard-earned money.